Lucía Pineda, news director at the now-closed 100% Noticias in Nicaragua has been accused and arrested on terrorism charges against Daniel Ortega’s government. Pineda is also being accused of other crimes, including promoting hate towards the national police and inciting crimes against public and private property. Pineda was given preventative prison at her initial hearing and will face trial on Jan. 25. This Saturday, the owner of 100% Noticias, Miguel Mora, showed up handcuffed in court where he was accused of the same crimes as Pineda. “This accusation is completely crazy […] something never seen before in the country’s judicial history. This is revenge on critical journalists on behalf of the government,” Sergio Marín, the director of the recently-created Committee of Journalists and Independent Communicators, told the AFP. Marín said he’s afraid these attacks will escalate because the government isn’t tolerating news outlets like 100% Noticias or other publications that are fighting to inform the people. 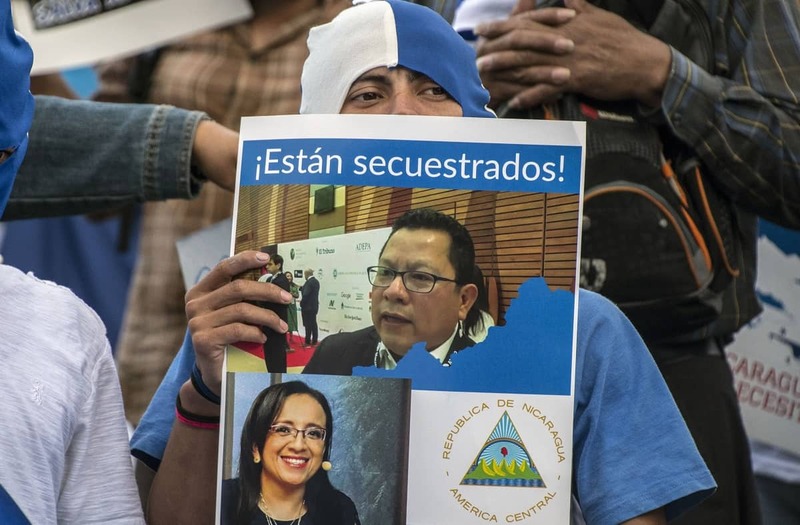 U.S. Rep. Ileana Ros-Lehtinen expressed support for Pineda on Twitter, saying that U.S. and its allies should demand that the journalists be liberated and strong measures should be taken against the Nicaraguan government. These actions came after the raiding and closure of the digital publication Confidencial and Carlos Fernando Chamorro’s television shows “Esta Semana” and “Esta Noche.” Chamorro has been a strong critic of the government. The newspapers La Prensa and El Nuevo Diario, said that essential supplies like paper and ink have been held up at customs. They’re expecting to run out of these materials in a few weeks. 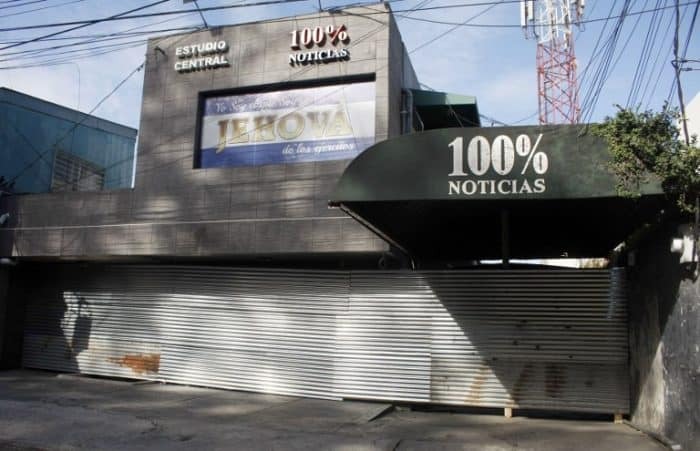 100% Noticias transmits 24 hours a day and has been one of the leading outlets covering the crisis in Nicaragua since protests started on April 18. 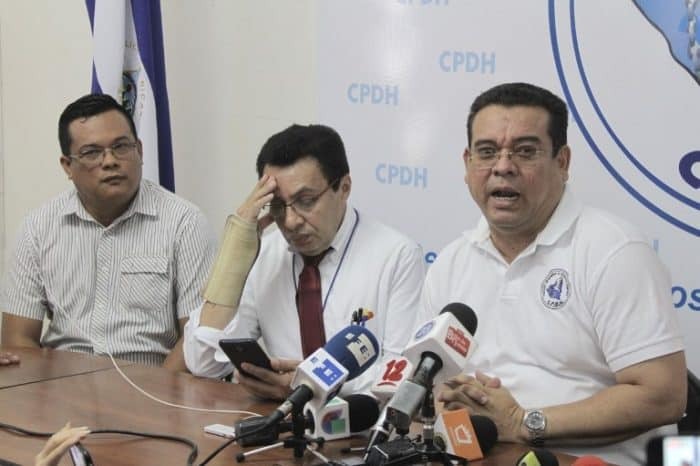 Julio Montenegro, a lawyer for the Permanent Commission of Human Rights (CPDH), warned that a judge issued warrants for a 100% Noticias reporter and owners of two opinion shows based out of 100% Noticias. The Costa Rican consul in Managua, Oscar Camacho, said he would follow and provide assistance to Pineda as they would to any Costa Rican in a vulnerable position. Pablo Cuevas, a lawyer for the CPDH, told the AFP that Pineda was taken secretly taken to court 36 hours after she was detained on Friday night, when police raided and took over the 100% Noticias offices. Cuevas added that Pineda’s family members weren’t notified. A CPDH team, which is constantly at the courts to assist detainees, first reported on Pineda’s presence at the courthouse and then became her legal representation. As of Sunday, the courts are now heavily guarded by riot police.